Brendon Hartley insists he feels like his Formula One career has simply been "put on hold" after losing his Toro Rosso drive for 2019. 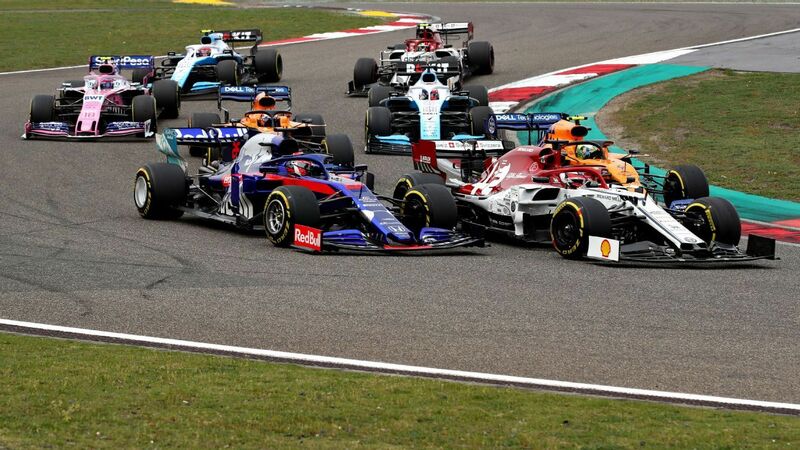 Pierre Gasly says he refused Toro Rosso's request to let teammate Brendon Hartley pass him during the Brazilian Grand Prix because they were not racing for points. Toro Rosso uses Fernando Alonso's infamous boast from the Australian Grand Prix after enjoying best qualifying of the season at Honda's home race in Japan, where McLaren endured another miserable day. Although his Russian Grand Prix only lasted four laps before he retired with a brake issue on his Toro Rosso, Pierre Gasly said he experienced a "really scary" moment when his visor was struck by a piece of debris on the opening lap. Jennie Gow and Maurice Hamilton discuss how Daniil Kvyat seals come back with Toro Rosso for 2019 season. Why has Toro Rosso gone back to Kvyat? Daniil Kvyat's 2019 Toro Rosso comeback is as much a case of the Russian deserving another chance as it is Red Bull recognising the current weakness of its once-vaunted driver programme. Red Bull chief Helmut Marko says he would only consider signing Esteban Ocon to Toro Rosso if Mercedes cut all its existing ties with the Frenchman. Both Toro Rosso drivers will receive grid penalties at this weekend's Russian Grand Prix as engine supplier Honda introduces a new power unit upgrade. Toro Rosso is expected to confirm the return of former driver Daniil Kvyat during this weekend's Russian Grand Prix. Daniil Kvyat could make a shock return to Toro Rosso next year after Christian Horner confirmed the former Red Bull driver is under consideration for 2019. Pierre Gasly was caught unawares by the call from Helmut Marko saying he would be promoted from Toro Rosso to Red Bull next season. Jennie Gow and Maurice Hamilton discuss Toro Rosso's technical director moving to McLaren and how the transition won't exactly be smooth sailing. McLaren has confirmed the signing of Toro Rosso's highly rated technical director James Key to the same role, as it continues to revamp its F1 operation. Toro Rosso driver Pierre Gasly has labelled F1's penalty system as "bulls--t" after a post-race investigation dropped him from tenth to 13th in the final standings for the British Grand Prix. Brendon Hartley is set to start from the back of the grid for the French Grand Prix after Toro Rosso made engine changes. Brendon Hartley is blocking out any and all speculation around the rumours his Red Bull bosses are already looking to replace him at Toro Rosso.